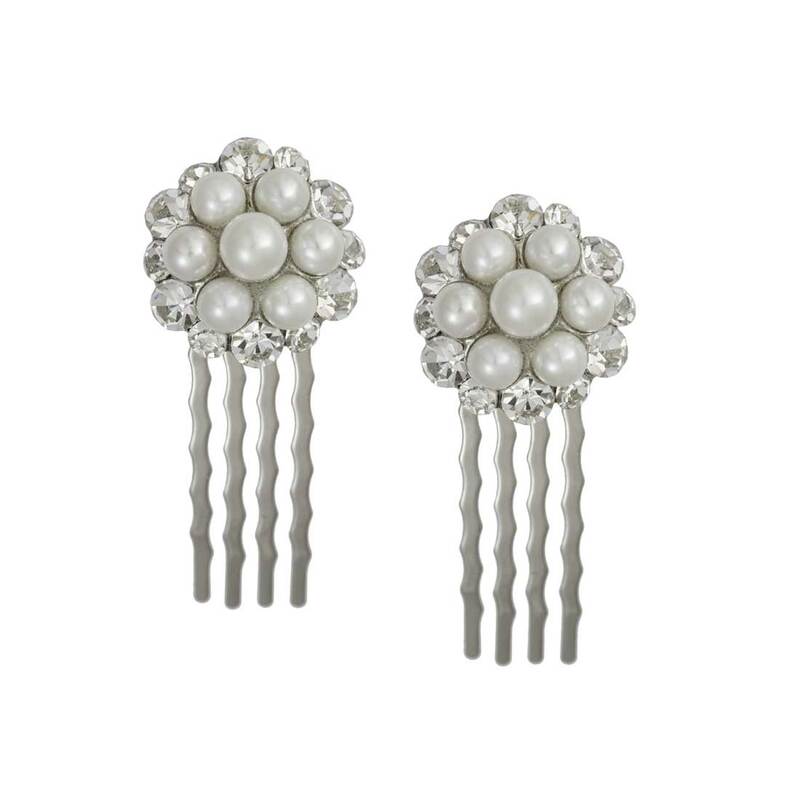 This beautifully classic pair of hair combs will dress your hairstyle with crystal and pearl clusters. Taking inspiration from vintage diamond and pearl hair combs, these ooze timeless and chic style. 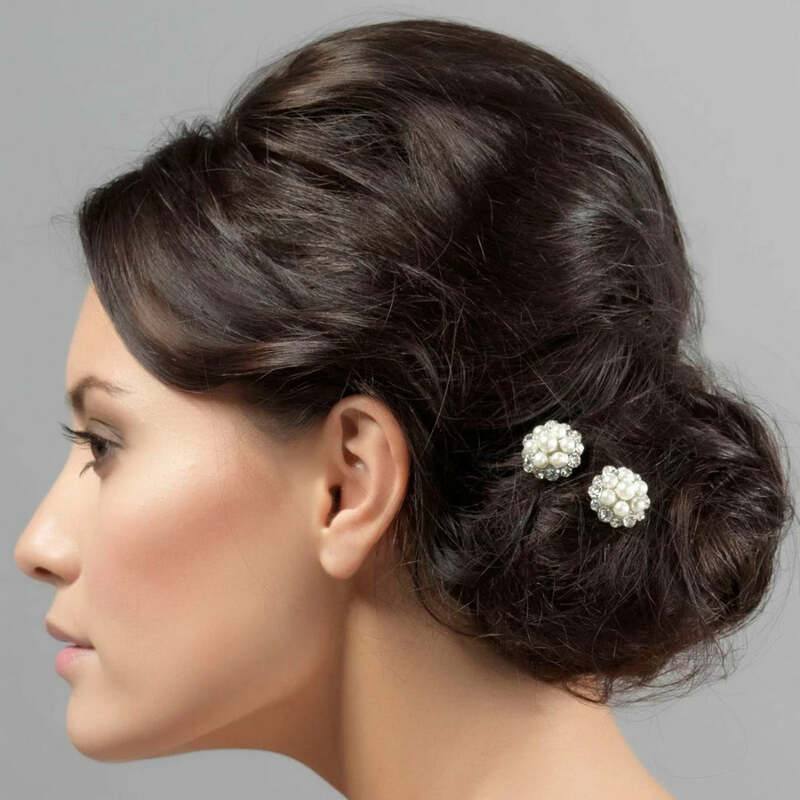 Featuring a cluster of ivory faux pearls with surrounding clear Austrian crystals, this silver tone pair of simply divine hair combs look fabulous worn to adorn a chic up-do and just exquisite when several pairs are scattered throughout the hair. Perfect for evening occasions and special events, these also are beautiful wedding hair combs for brides who adore classic style.